Transformer Disposal Company | PCB Disposal Service | ADCO Services, Inc.
ADCO Services specializes in the proper disposal of both PCB and Non-PCB Oil filled transformers. 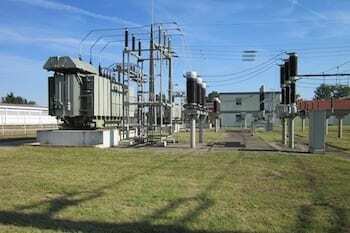 Transformers have been in use since the late 1800s when electricity was first used. 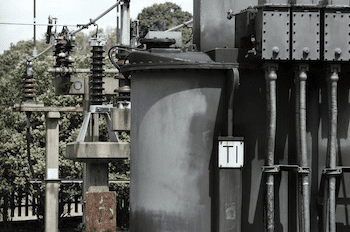 Over the past 125 years or so, transformers have not changed much in their overall design or concept and their overall job duty of transforming electrical currents has remained the same. Depending on a transformer’s application it is being used for, many different types of transformers may be used. 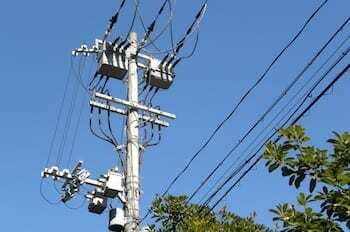 In the instance where electricity must be sent through lines for great distances, power companies will create line tension by utilizing what are known as “Step-Up Transformers” to boost voltage levels helping to counteract the loss in voltage that occurs when sending electricity over great distances though what are known as high-tension lines. 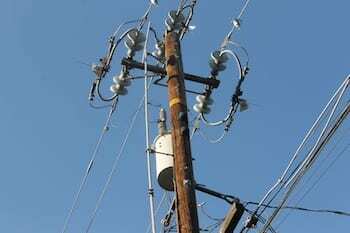 “Step-Down Transformers” we typically find hanging on the utility poles outside of our homes or businesses. A Step-Down Transformer will lower voltage levels back down to safe levels such as 240V and 480V greatly reducing the voltage levels to allow for safe usage in our homes and business to power our lights, small machines, appliances, etc. Step-Down transformers may look like gray steel drums hanging on utility poles referred to as “Pole-Mount Transformers”, or in the case of a “Pad Mount” transformer, they look like a metal box sitting on a concrete pad or slab. In some cases transformers do leak their cooling liquid out and ADCO’s staff is familiar with PCB spill clean-ups as well as how to remediate a site. For both types of transformers, they are filled with a type of Coolant or Oil that is used to cool the unit down as the Copper windings or Aluminum windings around the Iron core within the transformer unit gets extremely hot. If it was not for this coolant type fluid within the transformer unit, the unit will over-heat and typically melt the windings within the unit or in extreme cases can start a fire rendering the transformer in-operable. The fluid that is found inside of the transformers can be PCB Oil (Polychlorinated Biphenyls) or in the cases of transformers manufactured after the late 1970s, contain Mineral Oil both of which must be disposed of properly. In the United States there are still thousands of PCB filled transformers still in use today often referred to as “Legacy Transformers” which are grandfathered in under current U.S.E.P.A. regulations to still be allowed in use as long as they are not leaking and are operable. Once the PCB style transformer is no longer useable or it reaches the end of its designated lifespan, the unit must be replaced with a newer style unit free of PCBs and these newer types of transformers will typically contain Transformer Mineral Oil. ADCO can assist you with the proper disposal of both your transformer oil and the transformer unit itself. Our staff has been fully trained in the proper shipping and disposal requirements associated with disposing of a Pole Mount or Pad Mount style transformer. We will typically ask that you send in your analytical report showing what the level of PCBs are at within the unit and send in photos of the unit itself along with a close-up photo of the nameplate on the transformer. Once we get this information from you along with the measurements and estimated weight of the transformer, we can prepare our transformer disposal estimate. If you need assistance with having analytics run, we can assist you with lab analysis as well. ADCO’s staff will guide you through the entire process of having your transformer removed from your site and the packaging requirements which will need to be followed. Our fully trained staff will prepare all shipping manifests for you and once your transformer is received at the licensed disposal facility, proof of disposal will be sent to you for your records to prove you properly disposed of your transformer. Call today to inquire about ADCO’s transformer disposal program we offer nationwide to all 50 states in the United States today. Our agents are standing by to assist you. If you have any questions regarding our transformer disposal services or if you would like to discuss your business needs, we invite you to contact us at 877-254-2326 or 708-429-1660 today.